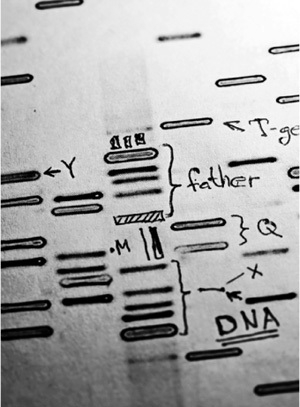 When was DNA fingerprinting developed? British geneticist Sir Alec Jeffreys (1950–) developed DNA fingerprinting in the early 1980s, when he was studying inherited genetic variations between people. He was one of the first scientists to describe small DNA changes, referred to as single nucleotide polymorphisms (SNPs). From SNPs, he began to look at tandem repeat DNA sequences in which a short sequence of DNA was consecutively repeated many times. Using only a small sample from a subject, scientists can use DNA fingerprinting to quickly identify a species, a person, or a person’s parents. It is a very useful tool in forensics.